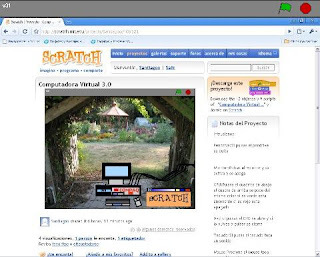 Beyond simply called Scratch, which according to the words of the author comes from the techniques used by DJs when creating music moves forward and backward to get a specific sound effect, hides the tool that allows programming without any real programming. Many people actually live in the belief that the programming address only the elect who grow to understand logical concept and learn syntax. 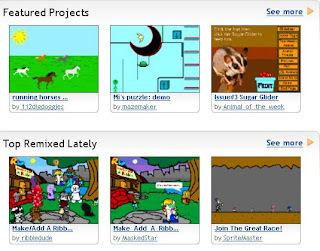 Scratch introduces very simple philosophy, thanks to which anyone can create their first interactive g ame, a nice animation or some other picturesque creation. The whole idea was to adapt the project kids, so the Scratch for children older than eight years, and all older. It all boils down to select the object (image or animated characters or Sprite) that is easy to apply certain actions, effects and much more.